Q. How can I download enki eBooks to my Kindle Fire? Scroll down and tap the setting for "Device"
Note: Before downloading an eBook, you must authorize this app with an Adobe ID. To create an ID, visit this Adobe page. Use the browser on your device to go to the enki Library website. Enter your library barcode and PIN (or Last Name) when prompted. The book will be added to the Checked Out Items of eContent Titles listed under "My Account." Click the link for Checked Out Items under eContent Titles. Click the Download button associated with the eBook you want. Complete the action by Downloading to Bluefire Reader. 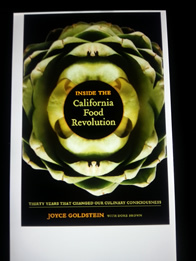 The Bluefire app will open and begin downloading the book. After the eBook is finished downloading, select Go To Library if you want to see eBooks on your Fire or Read Now to open your eBook and begin reading. You can return your eBook early from the BlueFire Reader app. Here are the instructions. Amazon tells me Bluefire is not compatible with 'my' Kindle Fire. Wish I knew if there was an alternative app. by david on Feb 22, 2014. The instructions above have been tested on the Kindle Fire and work well with BlueFire. by Ask ccclib.org on Feb 24, 2014. If you install the overdrive media console application for overdrive library books, then enki books will be downloaded by overdrive and can be read there. by Dave Mich on Apr 07, 2014. Thanks so much for recommending Overdrive, as you are correct. Kindle did not even have the Bluefire Reader app available! They need to correct their instructions. This was a real pain to try to figure out. by Shari on Jul 09, 2015. Both Bluefire and the overdrive media console downloaded no problem on my 1st gen kindle fire. I just can't figure out how to assosiate my adobe ID with my overdrive app account name on my Samsung Galaxy s5. There is not an option to loving with an adobe ID account on my phone. by lisa on Aug 08, 2015. I downloaded and installed Bluefire to iMac Pro and Kindle Fire, then downloaded a book from Enki through Bluefire. I seemed to be able to then transfer the book to my Kindle, and when I view the Kindle from the iMac app, it shows the book is there. Yet when I launch Bluefire on the Kindle, the book is not listed. It's not in my Kindle's Books list, and it's not listed in Overdrive either. by Bob on Oct 22, 2015.
by Frances on Dec 14, 2015.